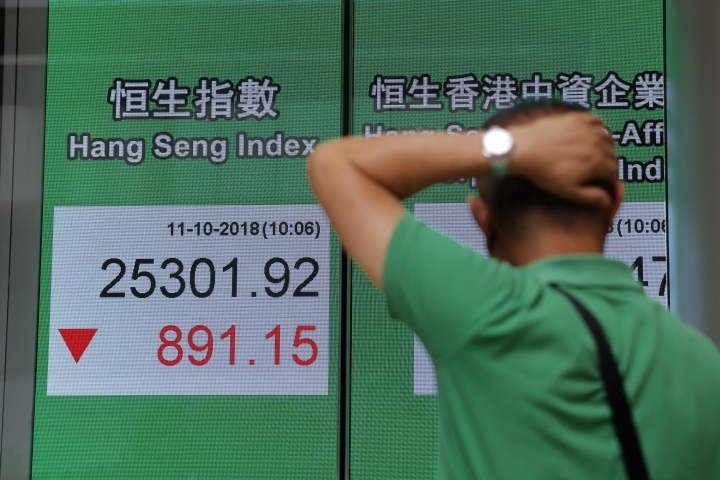 SINGAPORE — World stock markets sank Thursday, extending losses from Wall Street, as investors worried that higher interest rates will dent company earnings and a trade war will crimp global business. European shares sank after Asia closed sharply lower, auguring another drop in the U.S., which saw its major indexes tumble on Wednesday. Investors will be looking ahead to U.S. inflation data later in the day. A high reading could fuel expectations that the Federal Reserve will keep raising its interest rates at a steady pace, reining in the easy money policy that had fueled stock markets in recent years. "Equity markets were pulverized today," with investors in "full out retreat," analyst Stephen Innes of OANDA said in a commentary. The "latest sneeze" from Wall Street "could morph into a global markets pandemic," he added. France's CAC 40 dropped 1.8 percent to 5,111 and the DAX in Germany lost 1.6 percent to 11,526. Britain's FTSE 100 tumbled 1.9 percent to 7,011. 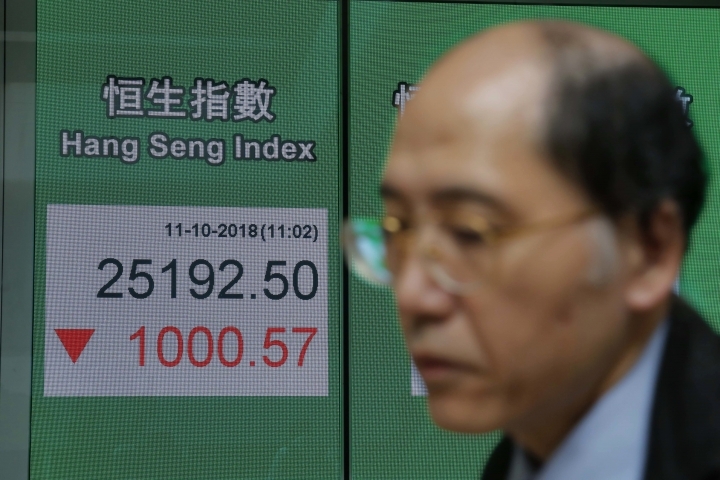 In Asia, Tokyo's Nikkei 225 gave up 3.9 percent to 22,590.86 and the Shanghai Composite index lost 5.2 percent to 2,583.46, a four-year low. 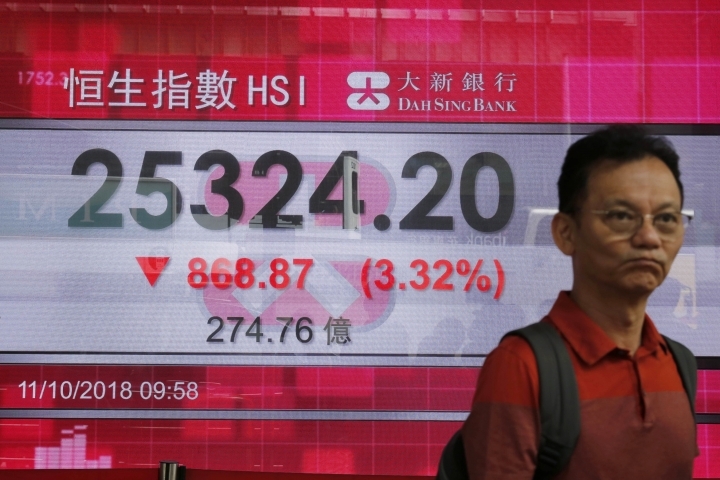 Hong Kong's Hang Seng index shed 3.5 percent to 25,266.37. 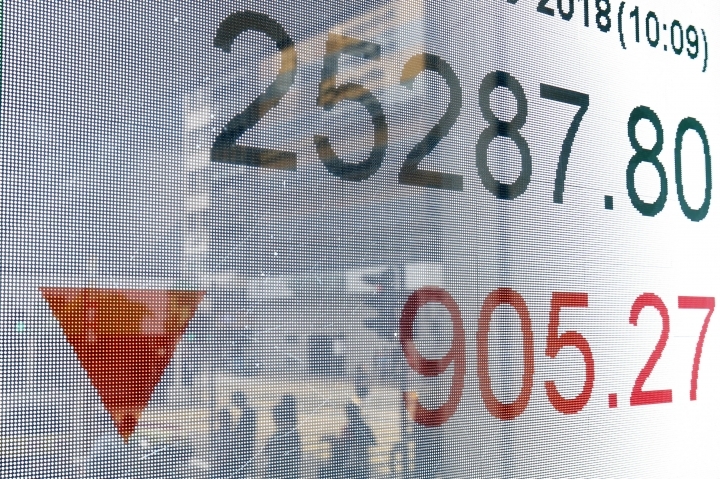 The Kospi in South Korea fell 4.4 percent to 2,129.67. Australia's S&P/ASX 200 slipped 2.7 percent to 5,883.80. 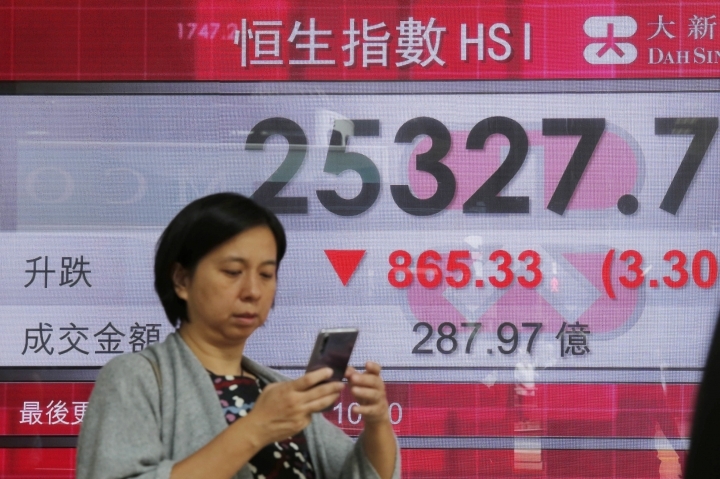 Stocks plunged in Taiwan and fell across Southeast Asia. "Equity investors are surprised by the pace at which rates have risen," Marcella Chow, global market strategist at J.P. Morgan Asset Management, said in a report. On Wednesday, U.S. President Donald Trump said the Federal Reserve "is making a mistake" with its campaign of rate increases. "I think the Fed has gone crazy," he charged. The U.S. Treasury is due to release a currency report that some analysts suggest might change the official stance on China's exchange rate policy. Chow said it was unclear whether the Treasury might label Beijing a "currency manipulator" — a status that could trigger penalties — or whether it could be "another pretext for the next round of tariffs." Technology stocks have taken the brunt of the losses. Tencent, China's most valuable tech company, dropped 6.8 percent. Shares of Chinese smartphone maker Xiaomi Corp. fell by 8 percent. U.S. indexes were set to extend their losses. Dow futures were 1 percent lower at 25,268. The index suffered its worst loss in eight months on Wednesday. The broader S&P 500 futures were down 0.9 percent at 2,756.50. 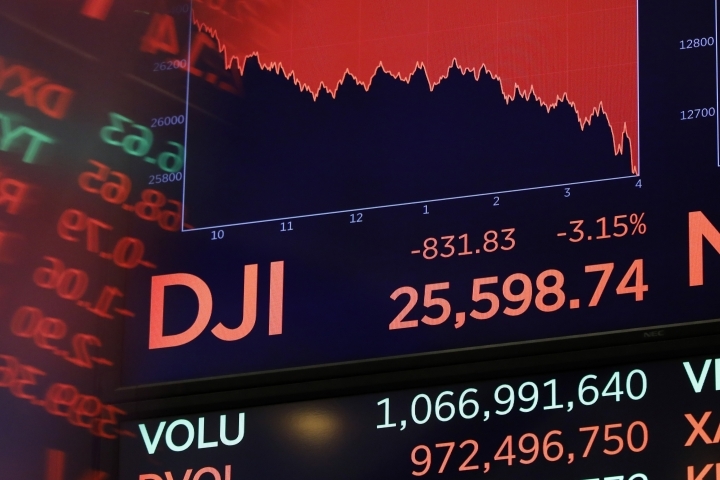 Francis Tan, an investment strategist at UOB Private Bank, says "the valuation of U.S. stocks, especially tech stocks, is still pretty high," and investors could be tempted to not buy into them yet. 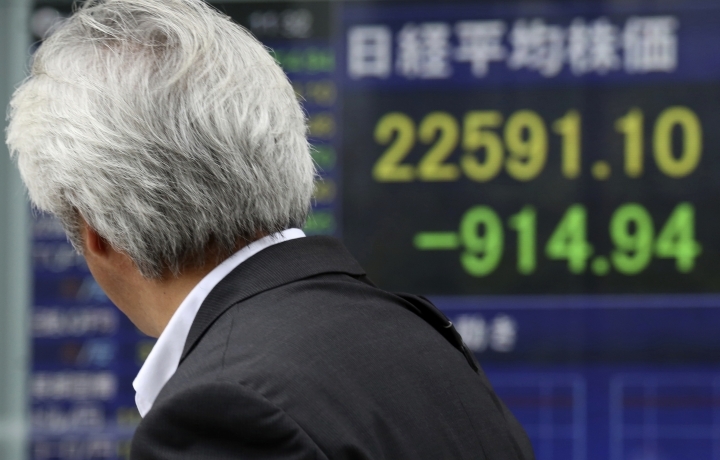 The dollar eased to 112.25 yen from 112.27 yen late Wednesday. The euro rose to $1.1576 from $1.1523. Oil futures fell. U.S. crude gave up $1.39 to $71.78 a barrel. The contract settled at $73.17 in New York. Brent crude, the international standard, dropped $1.83 to $81.26 a barrel.